When driving, Owl records everything to History. While parked, if Owl is triggered, you will get a push notification on your phone and the video will be available in Clips (and also viewable in History). Instant Video Alerts are sent for larger events that are more likely to cause damage. Yellow Notifications are for smaller events or when Owl is triggered by you entering the car. The notification will include a still image of the inside and outside of your car and the video will be viewable in History. 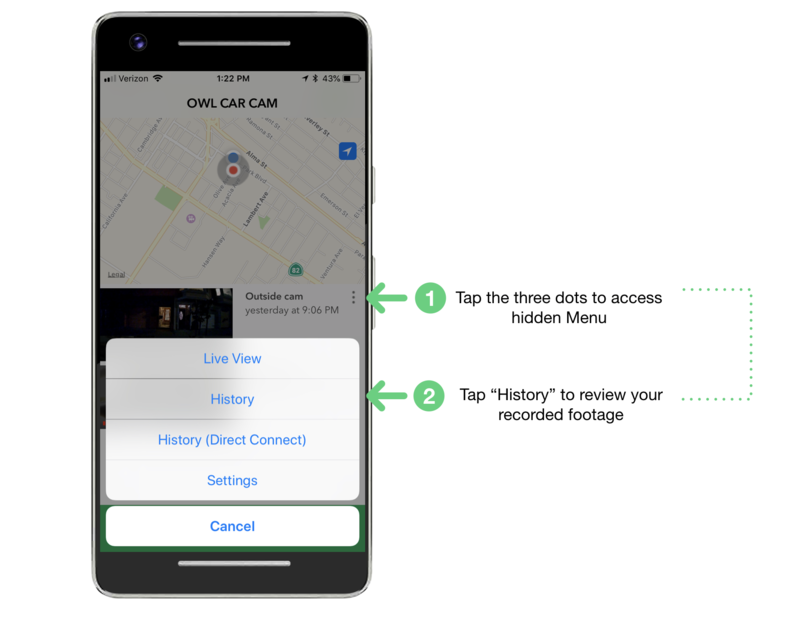 You can access your Video History from anywhere you have a reliable LTE connection on your phone and Owl Car Cam. 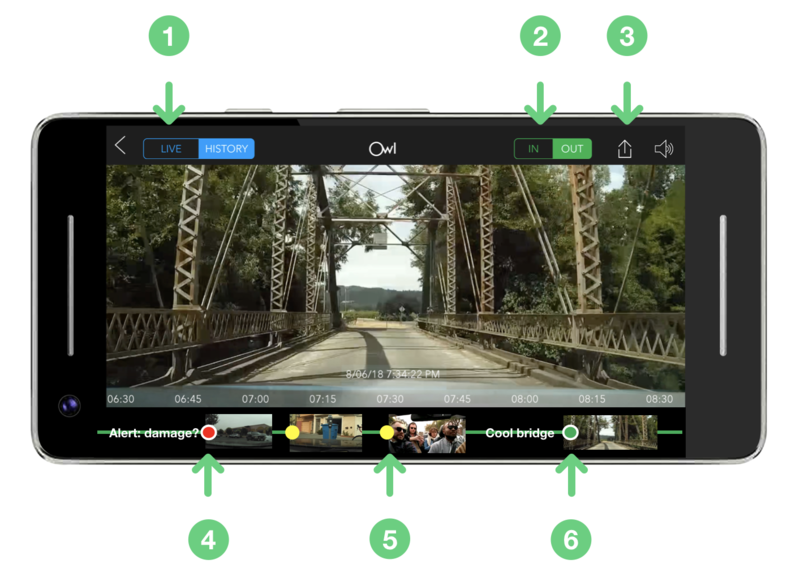 Open the Owl Car Cam app and tap "CAR CAM"
Once the video is done loading, you will be able to scrub through your footage and create new clips. 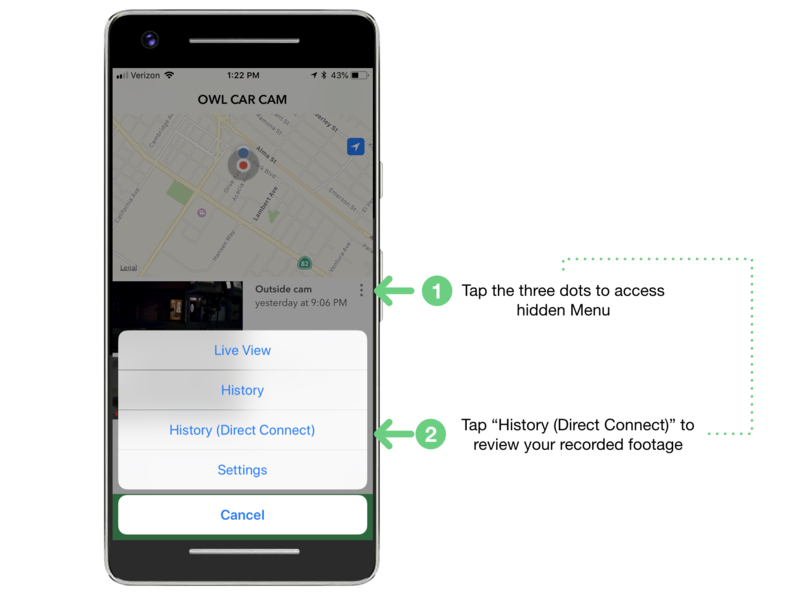 Owl also lets you access History over Wi-Fi (Direct Connect) on both iOS/Android app when you're in your car or close to your camera. To connect to your Owl Car Cam’s Wi-Fi, we recommend sitting in your car. Tap "Join" to connect to your Owl's Video History via Wi-Fi. 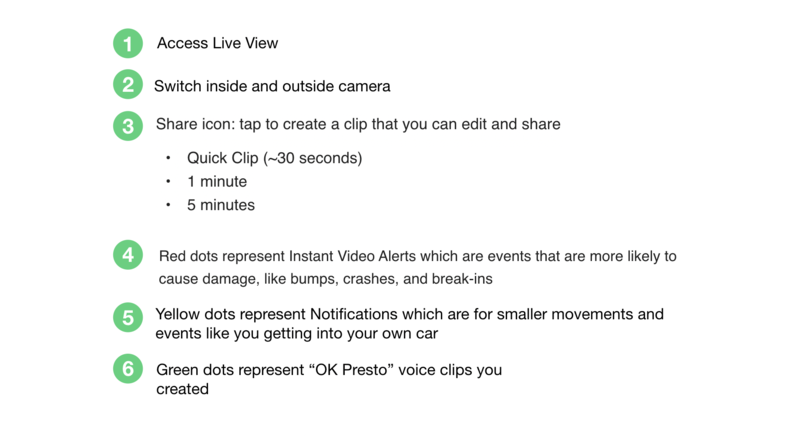 When connected to your Owl Car Cam's Wi-Fi, you can scrub through your Video History and create clips without using your credits .